Rex Burkhead scores in the second quarter. 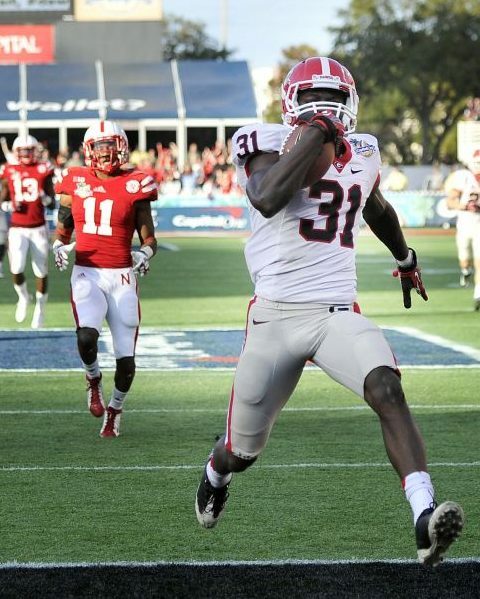 UGA: T.Gurley 23-125; K.Marshall 8-36; A.Murray 4-3l; T.King 1-0; TEAM 2-minus 2. NEB: R.Burkhead 24-140; A.Abdullah 7-48; T.Martinez 20-46; B.Heard 1-5. UGA: T.King 3-104; J. Scott-Wesley 3-67; R.McGowan 3-40; K.Marshall 3-39; A.Lynch 3-37; C.Conley 2-136; T.Gurley 1-4. NEB: K.Bell 4-60; R.Burkhead 4-39; J.Turner 3-22; B.Cotton 2-69; Q.Enunwa 2-11; K.Reed 1-3. Huskers fall in fourth to Georgia: No. 16 Nebraska hung tough with No. 7 Georgia for three quarters, but a pair of Bulldog touchdown passes in the fourth quarter provided the margin in the Huskers’ 45-31 loss in the Capital One Bowl. 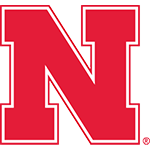 Senior I-back Rex Burkhead led the Huskers with 140 yards and a touchdown on 25 carries, while adding four receptions for 39 yards and another score in his final game as a Husker. Nebraska had a decent plan; it just didn’t have enough good athletes to execute the plan. It wasn’t, all in all, a horrible game by the Huskers. It just wasn’t good enough. Playmakers make plays. Georgia had ’em and more of ’em. The ball skills of Nebraska’s corners were the worst we’ve seen all season. The one key ingredient the Huskers are missing is consistency and you don’t recruit that, you coach it. In the last two games, Nebraska defenders’ heads were spinning. After Tuesday’s loss, Pelini put a positive spin on the big picture. How close are the Huskers? And should Bo Pelini tweak the machine or overhaul it? Nebraska gave a good effort, but the bottom line is that Nebraska didn't play well enough to win.